As summer turns to fall, homeowners are turning to their heaters to ward off the cool chill that comes with the changing of the seasons. A home’s HVAC system is made up of a variety of intricate components and assemblies. When they work together in harmony, a home can be heated effortlessly, but if these components fail, the home has no heat, and can even result in other, more serious problems. Maintaining your heat exchanger is one of the most important parts of keeping a home’s HVAC system running smoothly. For decades, the Heat Exchange Experts have been servicing and speaking about these crucial components, teaching other HVAC service technicians how to repair and replace them in their live seminars. While many homeowners simply look at their heater as a singular unit, a heater is actually made up of dozens of individual parts. The heat exchanger is perhaps the most important, as it is the part that actually heats the air in the furnace. When the furnace is turned on, the fuel combusts and warms the surface of the exchanger. Air is blown across the exchanger and into the vents of the home. This warms the building by circulating warm air throughout the home. Heat exchangers are generally made up of a series of metal tubes or even coils. This part is connected to the vents or the furnaces flue pipe. This ensures that the by-products of the combustion are moved out of the home rather than into the ductworks. The by-products of the combustion process include carbon monoxide, which can have a negative impact on the health of the residents in the home. Shell and Tube: This heat exchanger is made up of a number of small tubes that are packed within a cylindrical housing. The tubes within the cylinder are either fixed in place or allowed to “float.” One set of tubes is filled with fluid that is heated or cooled. Another set of tubes heats the fluid, and vents the heated air into the home. The tubes expand or contract with heat, and conduct heat through the tubes themselves. Plates: Rather than a bundle of tubes, plate heat exchangers rely on a series of stacked plates to conduct heat. Because of their compact size, they are often found on smaller heating units. The plates have small holes to allow heated fluid to pass through them and transfer heat. Regenerative Heat Exchanger: This systems use one fluid and moves it along both sides of the exchanger itself. The fluid rises in temperature quickly, and the fluid exiting the exchanger heats the fluid coming into the system. This system easily maintains a constant temperature and saves energy because the process is an enclosed cycle. Adiabatic Wheel Heat Exchanger: This heat exchanger uses an intermediate fluid to store heat. This intermediate fluid transfers heat to the other side of the heat exchanger. A large, threaded wheel rotates through the fluids in the heat exchanger to produce heat. Heat exchangers play a crucial role in the heating of a home. These components often experience periods of prolonged use and inactivity, in relation to the changing of these seasons. In warmer months, these units sit dormant, allowing rust to form. In colder months, a heat exchanger likely runs nearly continuously until the weather warms. This can result in cracks in the unit. Heat exchangers are prone to a variety of problems that can affect the quality of life for homeowners. Cracks in the body of the heat exchanger are perhaps the most common issue that heat exchangers have. These cracks are caused by the repeated process of heating and cooling throughout the winter months. This leads to heat stress in the metal. These stressed points crack, causing a litany of issues for the homeowner, and the heat exchanger repair technician as well. Because of the heat and moisture that builds up in a heat exchanger, these parts often rust from the inside out. Rust is the result of corrosive materials condensing on the walls of the exchanger and destroying the metal. In many cases, the rust is immediately visible, and chips of rust can be found around the furnace itself, in the flue pipe, or in the vents throughout the home. Rust is often found in high-efficiency furnaces. The flue gases in the secondary heat exchanger in these furnaces are cooler than in other furnace units. As the heat is transferred through the metal heat exchanger, the combusted gases cool inside the exchanger and condense into a liquid that corrodes the metal. Rusting heat exchangers need more frequent replacement and may be a sign that the furnace is too large for the home that it is installed in. Like any heating system in the home, be it gas, oil, or wood powered, the heat exchanger in a furnace produces carbon monoxide (CO) as a by-product of burning these fuels for heat. Many modern homes make use of a gas powered furnace, using propane or other natural gases. While these gases typically burn cleanly in a heat exchanger, they still produce CO while combusting. When a heat exchanger is working properly, these harmful by-products are vented out of the home and away from the inhabitants. But if the exchanger is damaged or rusting, it can allow CO to filter into the home. CO exposure can leave individuals feeling ill, disoriented, or as if something is irritating their eyes, nose, and throat. While these symptoms are annoying, they are the first warning signs of a much more serious problem. If not address, CO leaks can result in carbon monoxide poisoning. This poisoning renders someone unconscious, and can even kill them if they are exposed to CO for a long enough period of time. While these heat exchanger problems can sound dramatic, the reality is that it is fairly easy to care for a heat exchanger. The simplest solution is to contact a trained HVAC service provider who has experience with heat exchanger systems. Heat exchangers, like many appliances in the home, need to be inspected regularly. In some cases, they need to be cleaned or repaired. By arranging for regular maintenance, homeowners can prevent downtime when they need their furnace most — for instance, in the dead of winter. Perhaps most importantly, technicians can let their homeowner clients know that by having their heat exchanger inspected regularly, they can prevent costly and labor-intensive repairs or system replacements later down the road. If a heat exchanger and furnace are already in good condition, technicians can encourage homeowners to replace the filters on a regular basis. This will lessen the stress on the heat exchanger unit, preventing cracks and damage. Homeowners should always arrange for a pre-winter maintenance inspection to ensure that any issues are addressed before the heat exchanger is put under stress for many months. Competent technicians will look at the airflow of the entire HVAC system, and take the time to clean the drains and flues around the furnace during their inspection. Once they have observed a system, they can make suggestions to the homeowner as to how to repair, replace, or improve their HVAC system and furnace. For more than 50 years, the Prach family has been repairing and servicing heat exchangers. After successfully operating two HVAC businesses, Ellis Prach decided to partner with his sons to share his experience and insights with other HVAC technicians. The Heat Exchanger Experts now tour the nation annually, providing HVAC technicians everywhere the opportunity to develop their skills, and offer a wider array of services to their homeowner clients. The Prach family has earned their expert title after decades of experience, and literally writing the book on heat exchanger inspection and repair. Ellis’s book outlines the process of identifying problems and issues with a heat exchanger, as well as the complete process of repair or replacing the heat exchanger itself. The Heat Exchanger Experts Manual has proven useful to both neophytes and seasoned technicians alike. In addition to their writing and seminars, the Prach’s are called in to serve as expert witnesses in court cases regarding carbon monoxide poisonings and deaths and faulty heat exchanger and furnace systems. As an HVAC specialist, your customers rely on you to offer them precise, accurate work. Not only does your work make their life more comfortable during seasons of dramatic temperatures, in some cases, it can literally keep them alive. This is why it’s important to constantly develop your skills in the field of HVAC repair. Taking a seminar with the Heat Exchanger Experts ensures that your skills are current and comprehensive. By having the training you need, you’ll remove the guesswork from your service calls, allowing you to make accurate assessments of a client’s needs and the state of their heat exchanger. In some cases, HVAC Technicians are required by their employer to take continuing education courses. This is your employer’s way of making sure that you are offering your clients the best services possible. Taking additional training also allows you and your employer to offer a wider variety of services. If your company doesn’t currently have a heat exchanger specialist, a training seminar from the Heat Exchanger Experts provides you with the skills and knowledge you need to offer this specialized service. The Heat Exchanger Experts offers seminars that are based on decades of real-world experience. Our approach is straightforward and effective. Unlike our competitor’s training seminars, which require you to purchase costly equipment, cameras, and training materials, we bring everything right to you. As the Heat Exchanger Experts travel across the country, they bring 50 field-tested and damaged heat exchangers with them. These units provide the basis of our classroom instruction, allowing students to see, in-person, the stress points, cracks, fractures, and rust that can affect a heat exchanger unit. By handling these damaged units, HVAC technicians can learn how to properly install a heat exchanger and avoid these issues. The HVAC seminars with the Heat Exchanger Experts are perhaps the most effective way to locate and identify defects in heat exchangers. You’ll learn about the behavior of the metal components that make up the exchangers, how to spot common points of failure in specific brands and models of heat exchangers, and even concerns and issues with newer, high-efficiency furnace units. Of course, you’ll also have the chance to ask questions about your work, your experience, and the lesson materials. The Heat Exchanger Experts are more than happy to provide you with in-depth and detailed answers. The Heat Exchanger Experts travel around the US every year. These one-day seminars train you to be a heat exchanger troubleshooting pro. A quick glance at our seminar schedule can tell you when the next seminar near you is happening. Of course, if there isn’t a seminar near you, you can connect with the Experts to request a seminar for your area. 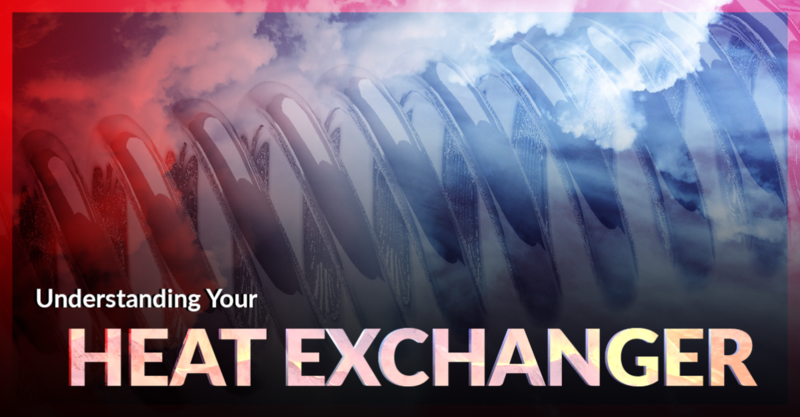 Learn the in-depth repair and replacement knowledge you need for your HVAC and heat exchanger services and study with the Heat Exchanger Experts today!